I find myself NEVER taking my big camera with me when I leave the house these days. Carrying a baby seat and trying to help a 3 other kids maneuver through parking lots is enough to worry about! So I have been using my iphone (with hipstamatic app of course) to take pictures more often lately! Only one out of every 15 pictures is really any good but when I pay attention to the available light, I get decent photos! 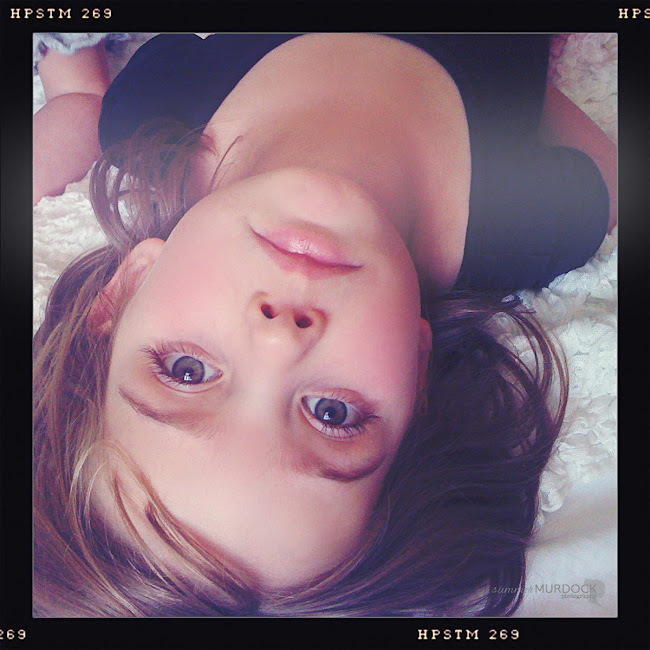 Last week after dance class, this little cutie was laying on my bed (which is right by a window), looking up at me. She looked so pretty and I had my phone in my hand so I snapped this real quickly. LOVE! I didn't even edit it at all. This is straight out of my iphone (hipstamatic did do it's magic). So use those readily available cell phones to capture all those little fleeting moments that will be gone if you take the time to get out your real camera!